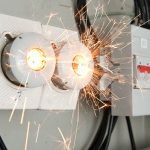 Home » WHY INSPECT YOUR EMERGENCY LIGHTING SYSTEM? An emergency lighting system is an essential part of your building’s safety and evacuation plan. Exit signs and simple lighting devices contain a backup battery to light the way if a power outage occurs during a fire or other emergency. Years could pass before a disaster occurs and causes a power outage that makes your emergency lighting system come on. That is why it is important to have your system inspected regularly. Improve safety in an emergency:Many defective batteries maintain enough “surface charge” to adequately light the bulbs, but only for a few seconds. Monthly 30-second tests help you identify problems that could prove hazardous in a real emergency. Reduce liability:You put yourself at risk of litigation if you skip emergency lighting testing, and the lights fail to work properly during an emergency. Remain code compliant: The law requires you to inspect and test your exit and emergency lighting system regularly. Failure to comply with this requirement could lead to liabilities and fines. 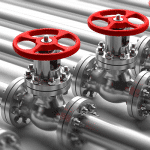 Avoid code compliance issues by keeping up with mandatory inspections and tests. Every month a 30-second activation test should be performed. It is designed to determine if the light bulb and backup battery function correctly. The power is cut to simulate a blackout to see if the emergency lights activate automatically. It lasts for 3o seconds because bad batteries can hold a residual charge that can turn the lights on but isn’t able to keep them lit. Physical damage, such as exposed wires or loose screws, electrical connections and charge lamps should be checked. Once a year, a 90-minute discharge test is performed to confirm that your safety lighting system will work as expected in a real emergency. If the lights or batteries fail during the test, the technician will make the repairs and adjustments as needed. The batteries are checked to ensure they are fully recharged once power is restored. Call Fire Control Systems to install your emergency lighting system and to conduct your monthly and annual testing. It can save lives!